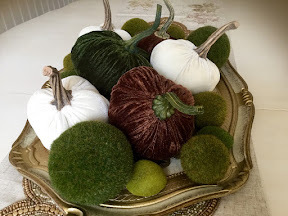 **~ A POCKET FULL OF ROSES~**: Simple fall decor! 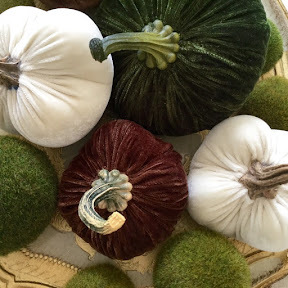 Have any of you started to decorate for fall???? Welcome back Dear Mari! My Blog is pretty quiet as well lately...time flies by and I have not been a very good Blogger I am afraid. Your new pumpkins are lovely! Blogging isn't what it use to be.....thanks so much for your sweet comment..
Love them Mari. Glad you are feeling better. I'm not blogging as much anymore since it's all changed.